Home » Les I. Siegel, M.D., F.A.C.S. Les I. Siegel, M.D., F.A.C.S. Dr. Les Siegel attended Michigan State University for his undergraduate education. He graduated with a B.S. in physiology with high honors. He attended Wayne State University for medical school and graduated as a member of the Alpha Omega Alpha Honor Medical Society. Following his internship at William Beaumont Hospital, he completed his ophthalmology residency and was chief resident at Kresge Eye Institute. He then continued his education with his glaucoma fellowship at Washington University in St. Louis, Missouri. In 1985 Dr. Siegel returned to Detroit and established the Glaucoma Center of Michigan. He is a Clinical Assistant Professor of Ophthalmology at Wayne State University, Michigan State University, and Oakland University William Beaumont School of Medicine. He has participated in educating residents in ophthalmology throughout his entire career. 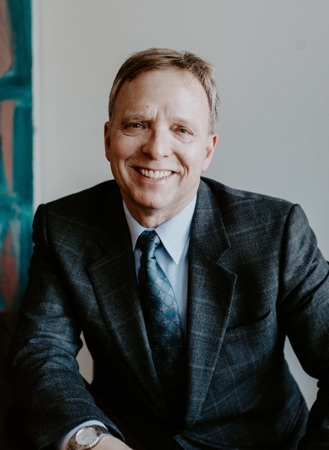 A Board certified Ophthalmologist; he holds surgical privileges at Eye Surgery Center of Michigan, Beaumont Hospital Royal Oak, and Ascension Health. Throughout his career Dr. Siegel has been involved with clinical research, speaking and publishing regarding various glaucoma subjects. He belongs to multiple organizations including the American Glaucoma Society, American Academy of Ophthalmology, Michigan Society of Eye Physicians and Surgeons, Fellow of the American College of Surgeons (FACS) and the Alpha Omega Alpha Society. His interest involve both complex glaucoma and cataract surgical procedures including traditional glaucoma surgery and minimally invasive glaucoma surgery(MIGS). Dr. Siegel utilizes all types of laser treatments for both glaucoma and cataracts. Additionally this includes special intraocular lenses for astigmatism and extended range focus.